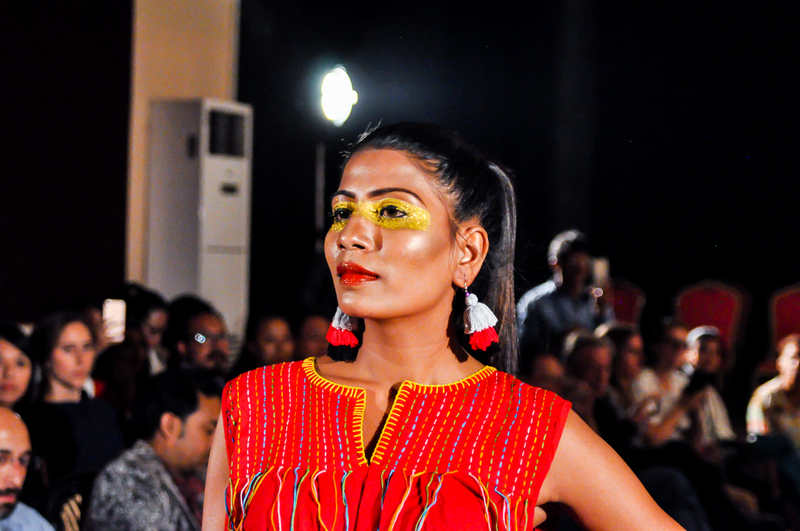 The final part of the Fashion Revolution Nepal weekend! I have the pleasure to present you more pictures from the fashion show thanks to the great photos taken by Sashi. 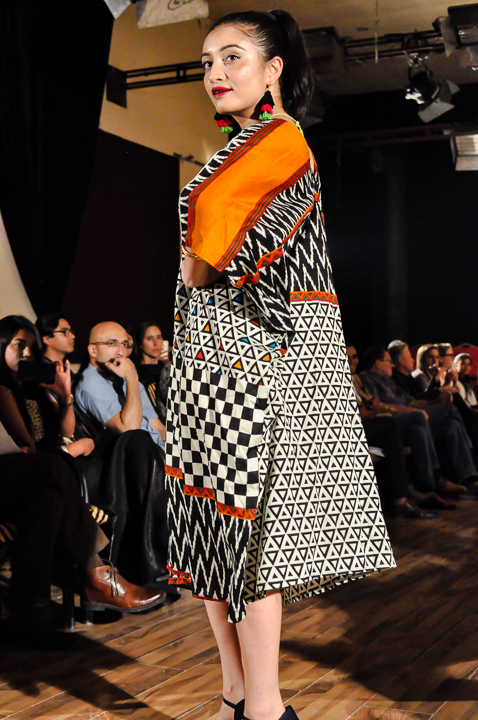 « Mon coup de coeur » (my favorite dress) goes for this great large orange and black geometrical pattern dress. It made me literally think of an « African boubou » that women wear in the Western part of Africa (Ivory Coast, Senegal..). Last but not the least, SABAH Nepal presented elegant and summerish skirts and top, mixing up bamboo and cotton along with allo crochet work. We saw great coats and long skirts in dhaka, the traditional Nepalese hand-woven fabric, for which SABAH Nepal has been the pioneer in fashion! Have a nice weekend all and see you next year for the Fashion Revolution Nepal 2018!